Six million people descend on Munich, Germany the last week of September and the first week of October every year. It's the world famous Bavarian Volkfest known to all as, Oktoberfest. Though it's the beer that is truly being celebrated during the festival, Oktoberfest wouldn't be the same without all it's flavors! Take some wursts and sauerkraut and add a good brotchen or hard roll. Lift a glass and Prost! Bring in a brass band and lederhosen, laughter, friends, and fun, and of course... dessert! 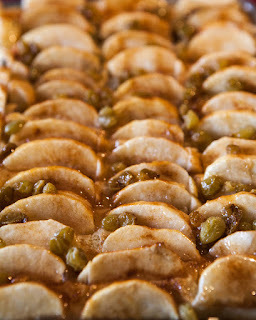 Most people think of Black Forest Cake, Bee Cake, or Apple Strudel but authentically German would also be, Fresh Apple Cake. 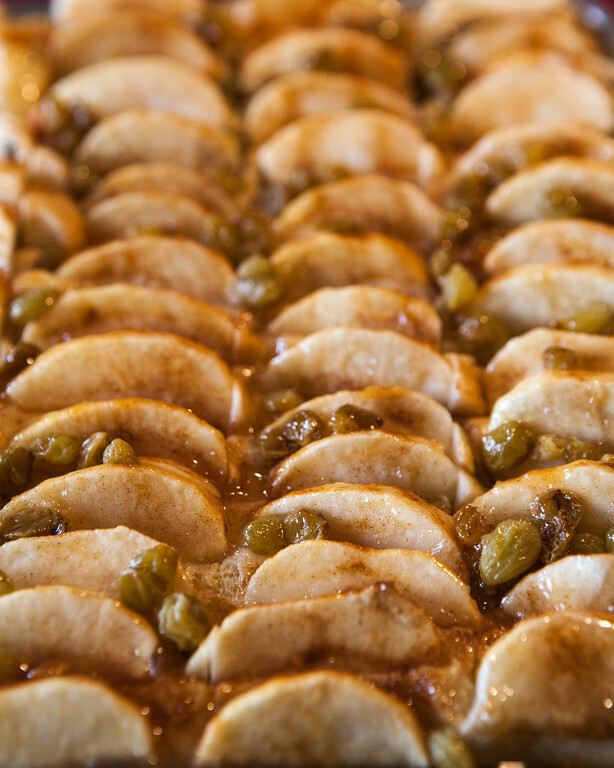 With the right apples and a proper yeast-raised sweet dough, "Apfel Kuchen", fresh apple cake, contends for the dessert spotlight even among the aforementioned "stars". It's not a heavy dessert. A piece can be eaten out of one hand while you're other hand holds a beer. Oh the priorities at Oktoberfest. Have a sweetheart in your life??? Don't forget to give them your heart, a gingerbread heart that is, on a string to be worn around their neck (eating optional). We have a full line of Oktoberfest items and though the official festivities come to a close this weekend, most of our German specialties can be ordered anytime throughout the year. So to fun and good cheer, and this wonderful time of year... Prost!